A majority coalition composed of supporters of statehood, independence (a small but influential minority), and a sizable portion of commonwealth supporters now favors decolonization. The question is: What relationship is America willing to have with its 4 million Caribbean citizens in the future? 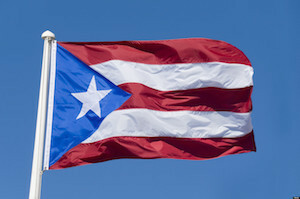 Is it willing to accept Puerto Rico as the 51st state, and if so, what’s the price of admission? Under what conditions would it grant independence? What kind of non-colonial, intermediate status would it be willing to negotiate with Puerto Rico? Individual decision makers have expressed preferences, but it’s time for the U.S. government to speak with one voice. Read the whole thing at the Houston Chronicle website (or click here for a PDF) and let me know what you think.